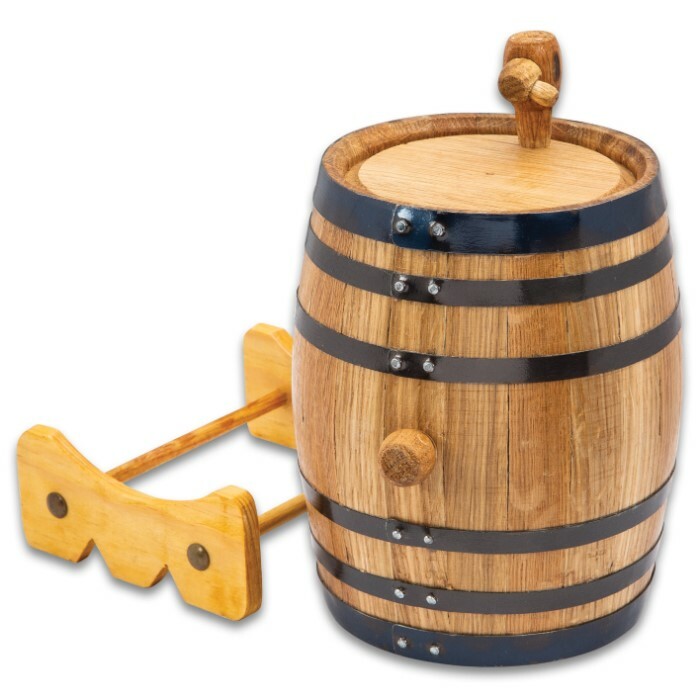 American Oak Whiskey Barrel - 2.5L - Includes spigot and stand | BUDK.com - Knives & Swords At The Lowest Prices! Why pay a ton for spirits someone else aged when you can do it yourself? 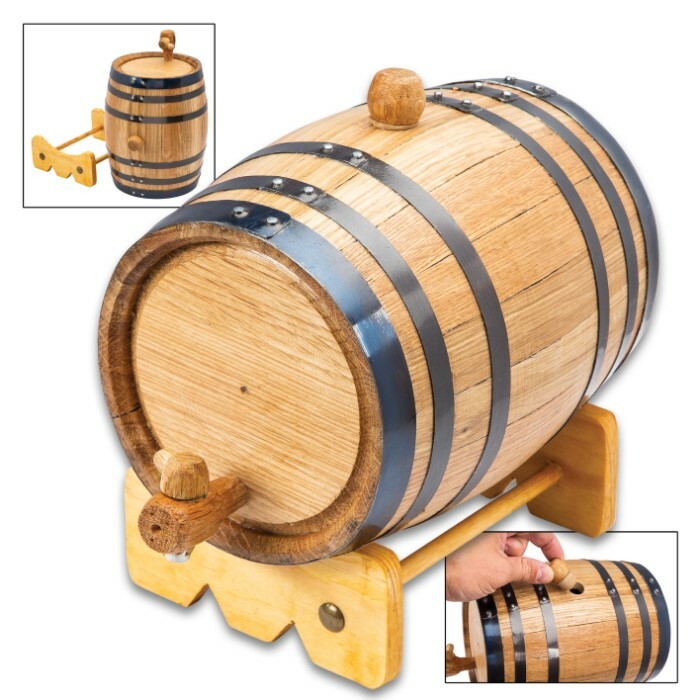 Make our 2.5L aging barrel part of your home bar accessories. Our aging barrels for whiskey, tequila, rum, and wine — or any other spirit you like — mellow the contents to rich perfection in just a few short weeks. We make our oak barrels the old-fashioned way: without nails, glue, or anything else that could negatively affect flavor. 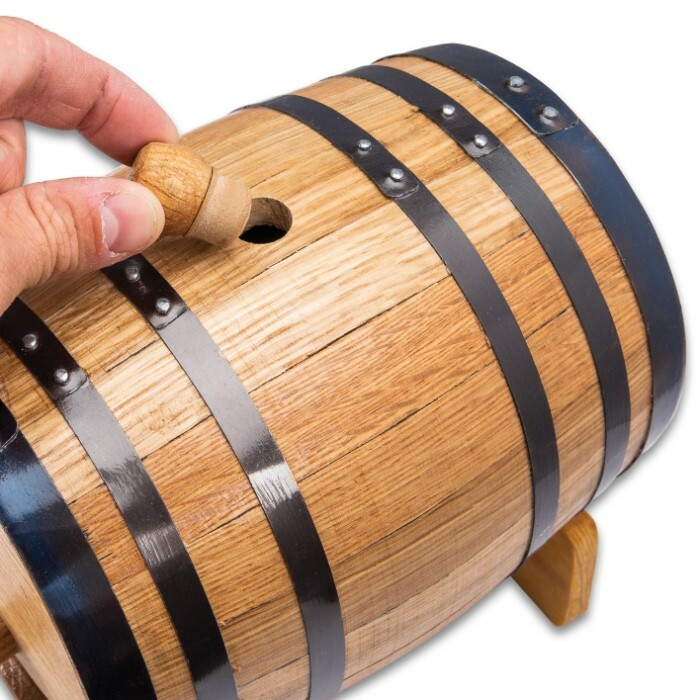 If you’ve ever wondered why older liquor tastes better (and is more expensive), it’s because the oak lets the contents breathe. That releases the impurities while allowing natural flavors to infuse the spirit. The result is a smoother, richer taste that makes every sip a pleasure. 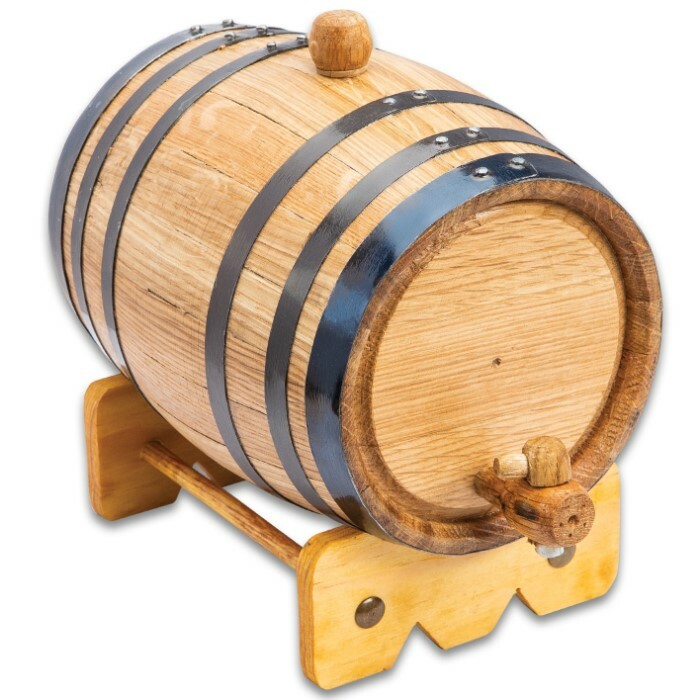 Use your barrel over and over again, and you’ll find your next batches take on the characteristics of whatever you aged before. 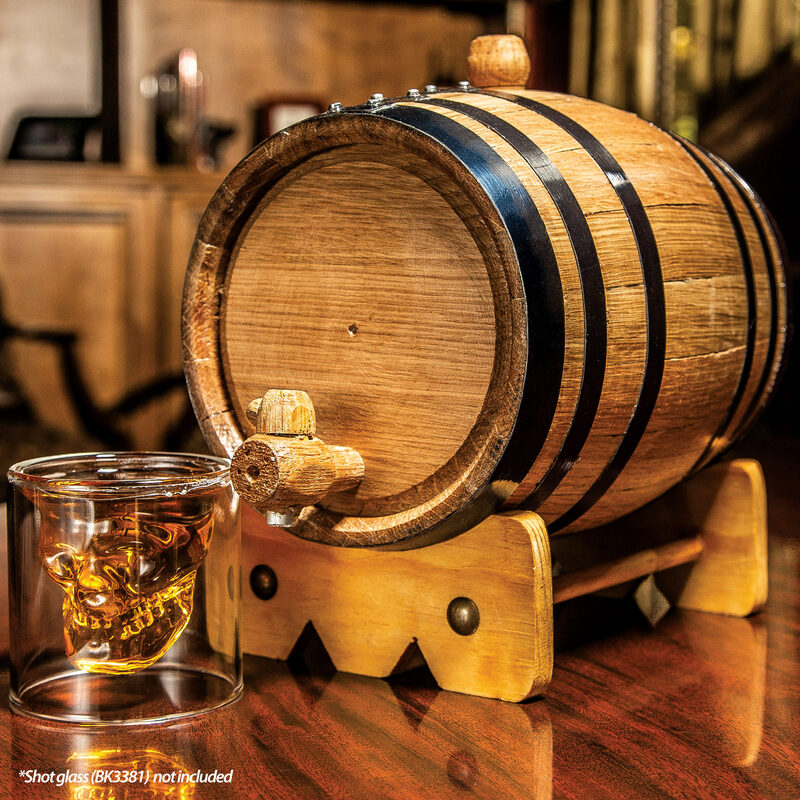 Best of all, aging liquor is easy in our oak barrels, because we give you everything you need.